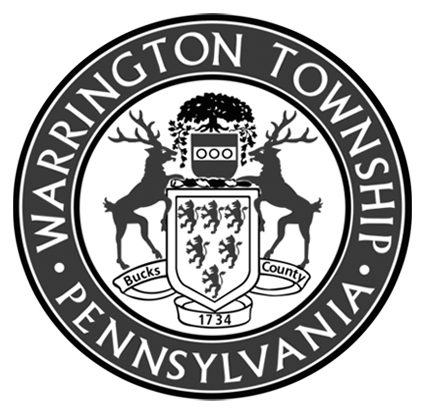 It has come to the Township’s attention that Water and Sewer Department customers are experiencing confusion concerning their recent bills. The Township would like to clarify the situation so that there are no misunderstandings. The Water and Sewer Department encountered unexpected and unavoidable manpower issues over the summer that impacted the timeliness of meter readings for quarterly water bills. The delay in readings ultimately delayed the issuance of quarterly bills by over a month. This delay also caused a number of quarterly bills to encompass a longer consumption time frame than a normal quarterly bill. Customers overwhelmingly expressed frustration concerning this matter. Therefore, the most recently issued quarterly bill follows the previous quarterly bill by about two (2) months (which is back on our regular billing schedule). It is important to note that the Department has not issued more quarterly bills than would have been issued throughout this time frame. All of our 8,000+ customers are receiving bills for their actual usage except for customers that received Estimated readings. Estimated readings are based upon account history and can either be higher or lower than actual consumption. We receive Estimated readings when we are unable to acquire actual readings during our remote-reading process. Customers ultimately pay for their actual usage once we receive an actual reading for their account. A vast and rapidly increasing number of customer accounts are not producing readings during our remote-reading process. It would have taken anywhere between 3 and 5+ weeks to acquire actual readings through walk-route/touch-pad readings. This would have delayed the billing again by 1-2 months causing more frustration with our customers from large bills over a longer period of time. Additionally, this would have continued to push us further off of our billing schedule. The immediate issue was that we needed the cash-flow from the bills in order to be able to continue to fund our Operations. The mid to long-term issue was that, if we continued to delay each billing trying to acquire actual readings every Cycle, we would never be on a regular schedule. We have been diligently replacing non-functioning remote read equipment with the resources available to us. However, it is impossible for us to replace all of these failing remote-read devices with our existing manpower and financial resources. This is—in part—why we have proposed the 2019 Meter Replacement/Flex-Net project in our 2019 Budget. In addition to a multitude of benefits, this means minimal walk-route/touch-pad readings and minimal service orders for jammed meters following the completion of the project. In the meantime, the Department will review all Cycle 2 Customer accounts that were Estimated for the most recently issued bill. Following review, credits will be issued as appropriate towards the next quarterly bill.